Combining fully voiced pause-for-tactics RPG, deadly magic, masked deceptions and a Venetian-style city, Witching Hour Studios created a game that has already set the industry tongues wagging. When I contacted the Creative Director a couple of weeks ago, the team was busy crowdfunding on Kickstarter, but here’s an excerpt from the press release. “In the turmoil-ridden Citte della Ombre, religion holds no sway. Only the songs sung of one’s deeds will carry an Ombrian’s legacy beyond death. Those who hold even the smallest morsel of power will make every effort to ensure their songs live on. Enter the Mascherines – masks from an ancient time that allow its wielders to channel the elements into destructive magic. 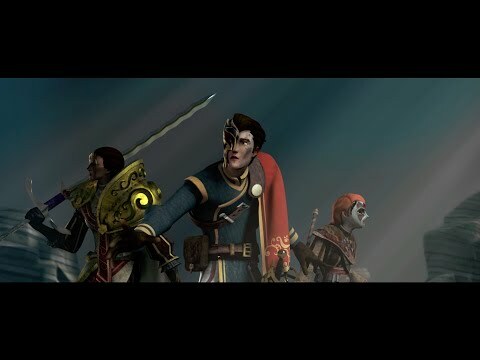 The Mascherines have perpetuated a culture of inequality between the power-hungry guildsmen known as the Masquerada and the impoverished lower classes, the Contadani. A prolonged civil war, ignited by Contadani rebels who steal Mascherines from the Masquerada, has only drawn scars of mistrust across the Citte since. Players follow the trails of an expert investigator, Cicero Gavar, who was exiled for a crime against the state five years ago. Cicero has now been summoned back to Ombre to solve the mysterious kidnapping of the diplomat Razitof Azrus, whose wake has left a trail of death. 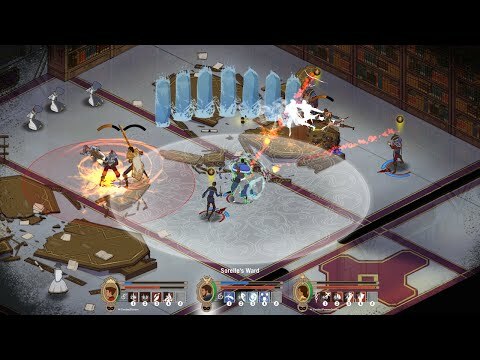 As other members of the Masquerada join Cicero’s’ investigation, all having their doubts about one another within this culture of deception, their faith will be pushed to the limit as a deeper conspiracy lurks in the shadows of Ombre. Make sure to pop by the studio’s site to check out their previous work on Ravenmark: Scourge of Estellion and Romans In My Carpet.